I spotted this on Facebook (on the REAL Peter Tork page!) and thought it was worth sharing! How many of these do you use every day? 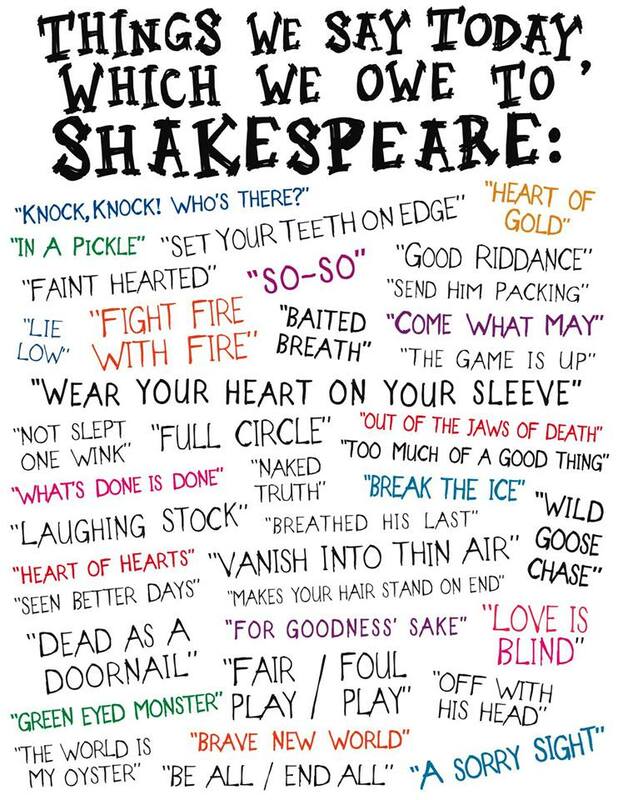 Thanks to William Shakespeare for adding more color to the English language! Posted on 28, April 2014, in Books, British, Language and tagged English, language, sayings, Shakespeare, William Shakespeare. Bookmark the permalink. Leave a comment.